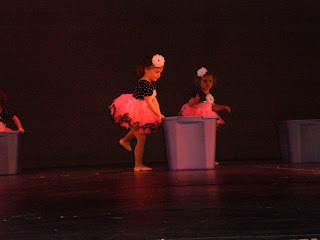 Here are a few pics of Lainey's Dance Recital. little bit of stage fright. 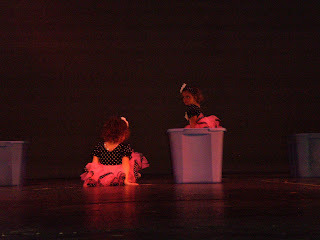 She did "Splish Splash"
and "Animal Crackers in my Soup"
And aren't they so cute in their little outfits!